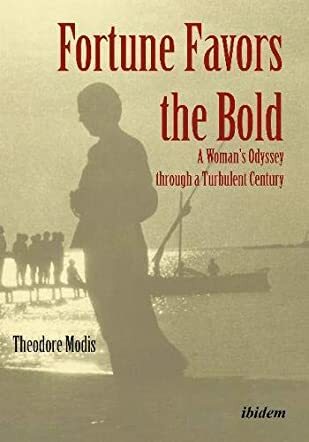 Fortune Favors the Bold: A Woman’s Odyssey through a Turbulent Century by Theodore Modis is a lyrical tale of resilience and romance, set against the backdrop of turbulent political climates and following characters that are rock-solid and likable, a tale with powerful historical references. Theodosia is a teenager when she loses her parents. She and her sister become part of the population exchange between Greece and Turkey and she ends up in a refugee camp in Northern Greece. This narrative follows her tale of grit and how she found the man of her life. But can marriage bring her the happiness she's striven to find? This is a story filled with emotion and it evokes feelings of compassion for the protagonist. The setting evokes a period of hardship, with relevant historical references, including the Balkan Wars, the Nazi involvement with Greece, the invasion of Cyprus and others. Theodore Modis' writing is atmospheric, filled with well-crafted dialogues. I enjoyed the way the author brings the elements of the setting to life, allowing readers glimpses of the social and cultural problems and signs of the time. The historical references are indicative of the fact that the author put much work into researching this book. The social and political commentaries enrich the plot and become a mirror that reflects the soul of the protagonist and other characters in the story. Fortune Favors the Bold: A Woman’s Odyssey through a Turbulent Century holds your attention from the very beginning and keeps you reading until the last page, from the moment of the shooting on the first page to the exhilarating climax, to the satisfying denouement. The writing is bold and confident and the tale moving. Theodore Modis brings the characters to life in these pages.